It is a moment of great proud for MRIS -14 as the students of Grade 1, 2, 3 brought laurels by excelling in the International Mths Olympiad. 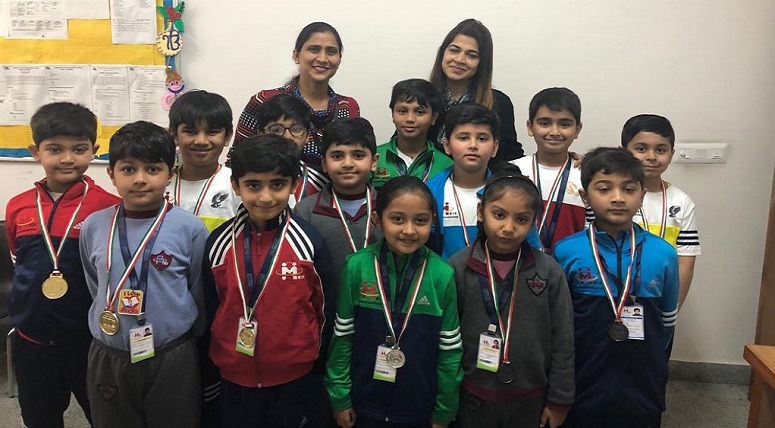 These shining stars were appreciated and honored by the Vice principal mam, Ms. Monika Kathuria. She encouraged the children to outshine and endeavor for the next level. 5 students bagged Medal of Distinction, 3 got School Gold Medal, 3 School Silver Medal and 4 School Bronze Medal.